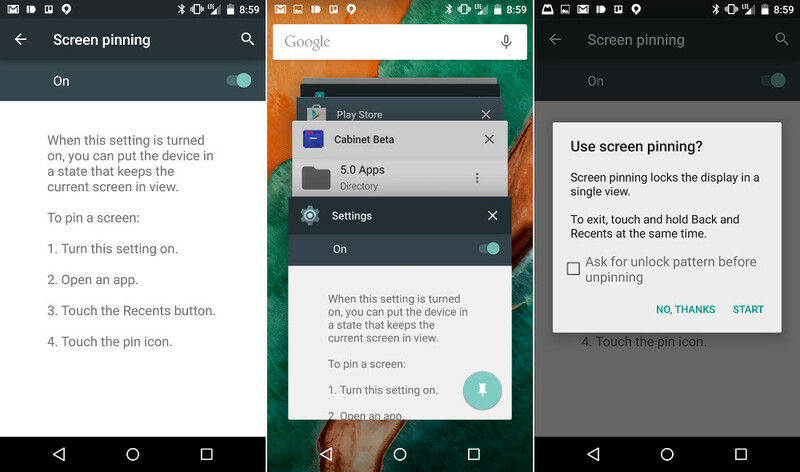 Our series of Android 5.0 “Lollipop” feature highlights (view them all) continues this morning with a look at Screen Pinning, which is a way for you to share a specific screen or app with someone while not giving them full access to your phone. The idea is that you may have something to share on your phone and are considering handing it over to a person with you, but you likely do not want a home or back button press to allow the person you are sharing with to see what else you might be working on. To access Screen Pinning, you first need to turn it on by heading into Settings>Security>Screen Pinning. Once turned on, you can begin pinning things by touching the app switcher, scrolling up a bit to show the bottom of the first app’s card, and then touching the “pin” icon. I should point out that in order to pin a specific app, you need to first open that app, so that it shows up first in your list of recently used apps. Make sense? 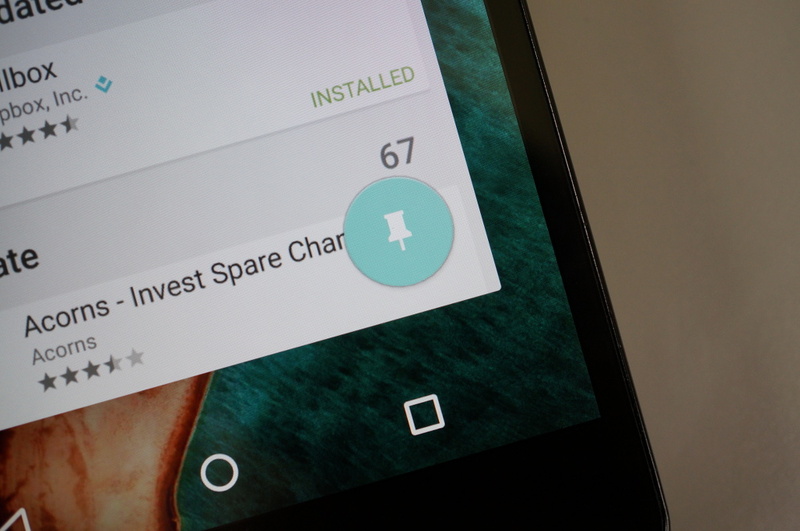 Once you tap the “pin” icon, your phone will show a pop-up confirming that you want to pin your screen. You can say “Start” or “No, thanks,” but also set a pattern that fully locks out the person you are sharing your phone with. To unpin an app, simply long press both the back and app switcher buttons at the same time. If you are running Android 5.0 on your Nexus 5 or Nexus 7 (2013), feel free to give it a spin.